Welcome to our Groundhog Day coloring pages. As holidays go, this one is a little under ground....(joke) ..it is however, a uniquely American "holiday". Actually, it's not a holiday at all, it's more a day of celebration of an "urban legend" that most Americans really consider quite silly, .....but we like it anyway! The Groundhog's Day "holiday" occurs every February 2nd, and many people are quite"curious" about what the groundhog "sees". According to legend: "It is the day that the Groundhog comes out of his hole after a long winter sleep to look for his shadow. - If the day is sunny and the groundhog sees his shadow, he regards it as an omen of six more weeks of bad weather and returns to his hole. - If the day is cloudy and the groundhog therefore cannot see his own shadow, he takes it as an omen of spring arriving soon and stays above ground. Our printable kids Groundhog's Day coloring pages are a great way to keep those little hands and minds busy over the holiday! Groundhog's Day coloring pages are great for those times when you need give them something fun to do, or just need an little peace and quiet ! Our Groundhog's Day Coloring pages depict all the favorite Groundhog's Day scenes to color and imagine! Printable Groundhog's Day Sheets are free and easy to use, just get a crayon or colored pencil and have fun ! 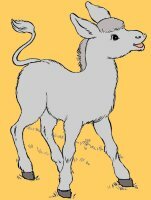 Print several of our Groundhog's Day coloring pages and teach your kids about this unique American Folk Legend! 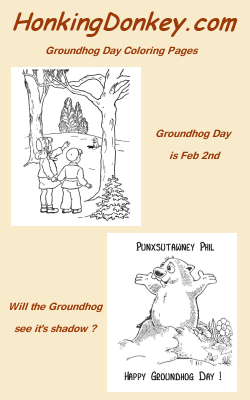 Our Groundhog's Day coloring pages include Punxsutawney Phil, the most famous Groundhog of them all !